In the previous Flatpak article, I have not mentioned about how to create a menu icon for an application installed from Flatpak. In this article, I show you how you can access the application from desktop menu once you have Alacarte program. This article demonstrates how to create menu item for LibreOffice, as my previous article introduced it, so you can make another menu for another installed Flatpaks. It is very easy to do as below. You can use Alacarte program to do these tasks easily (point & click). Install this program by issuing a command line $ sudo apt-get install alacarte. 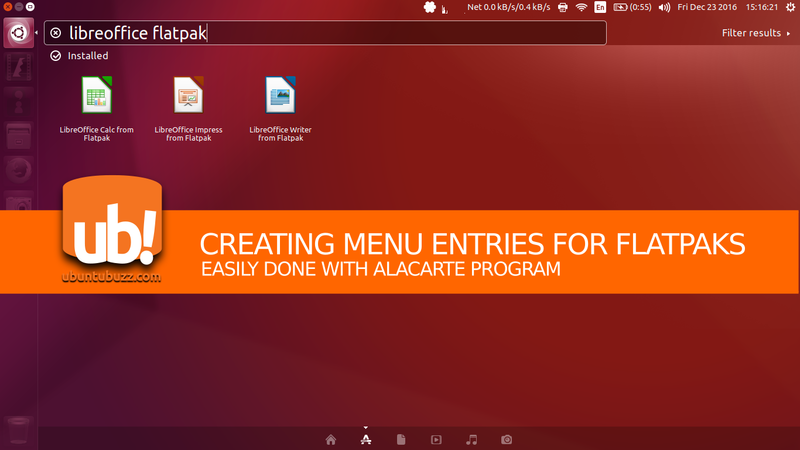 Find Alacarte in your desktop menu then by searching for "alacarte". 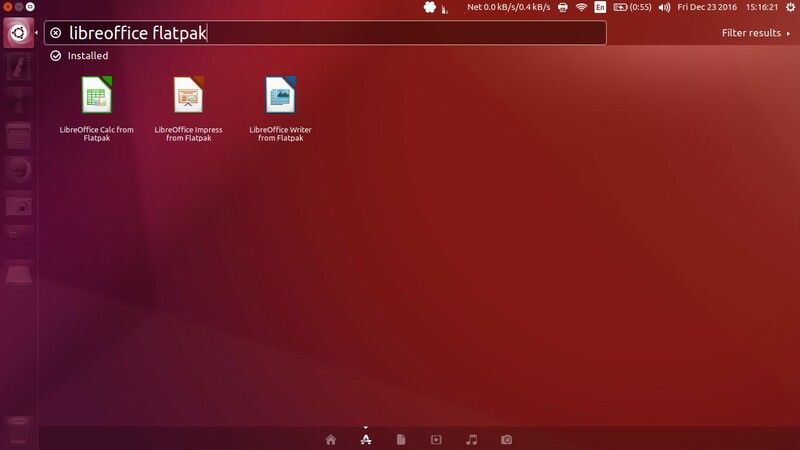 We will try one of these to create an entry on Ubuntu desktop menu. Open Alacarte > select a category on the left panel > press New Item button > type the command line on the box "Command:" > choose a picture as you wish on box on the left (this will be the menu icon of the program). 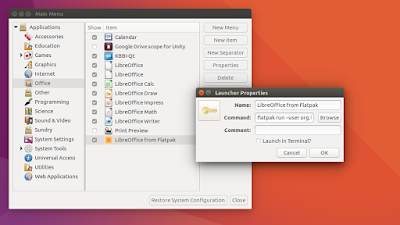 Give this new entry "LibreOffice from Flatpak" so it's easier to remember the name. Press OK and then close Alacarte. Search for the name "libreoffice from flatpak" in Ubuntu menu and you get the icon and now you can run the software by clicking o its icon. You just need to repeat these steps for another Flatpak software packages in your system.